My boys really are x-box fanatics. If they could get away with it, they’d probably spend more time on the x-box than they would doing absolutely anything else at all in their lives. 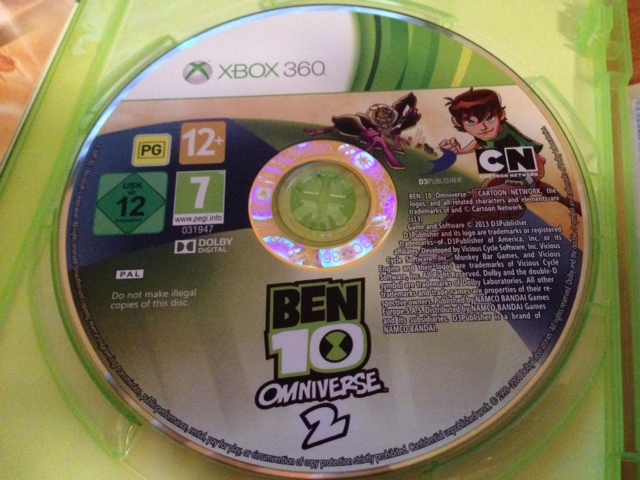 The Ben 10 Omniverse 2 X-box game is the latest instalment of the franchise that sees Ben and his Omnitrix alien forms battle new galactic threats. 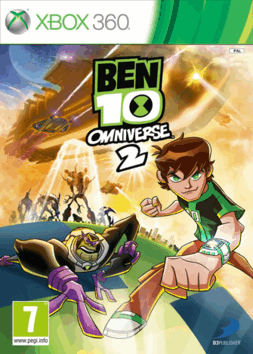 In this version, Azmuth and Omnitrix enter the Incursean’s Intergalactic warship to try and stop Emperor Mileous. Littlest has had a few plays with the game after being sent a review copy, and it seems to be hiding in amongst the favourite game pile to go back to over the school holidays. The general consensus here is that this game is slightly easier than the last one we had. That’s a welcome finding as they found Alien Destruction quite difficult. Middler is getting an x-box for his Christmas so this will go perfectly for him to enjoy and potter with while he learns how to use it. It’s a classic version of kids using Ben’s powers to run around and fight aliens and with some lovely puzzles in the middle. I did get slightly confused as our version has a 7 on the front, yet inside it carries a PG and a 12 + rating. The review copies perhaps go to lots of different countries and perhaps that’s the reason for what looks like several ratings, though the version on Amazon is rated a 12. The game is fast moving and has kept littlest amused over the last couple of wet, windy and miserable days. I can see it being used a lot over winter with 3 boys to all work through it. Would I have bought this. I suspect the answer is yes for middler who is just entering the world of console gaming at the age of 12. I’d prefer it to be a little cheaper, but we do get good value with three children to share the games around.